Community Maternity Unit, Isle of Arran War Memorial Hospital - Which? 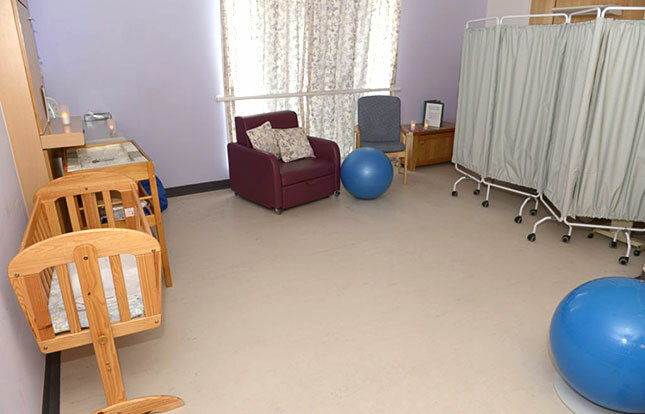 Freestanding birth centres are not on the same site as a hospital, so your care is led by midwives. If you need the assistance of a doctor you’ll be transferred to a labour ward at a hospital. Partners can stay overnight if additional support is needed. The maximum number of different midwives you're likely to see for antenatal appointments is 3 and for postnatal appointments it's 3. You will be looked after by a small team of midwives for antenatal care, during labour and for postnatal care. You can discuss having your baby here, even if you don't fit the following criteria. Limited mobility: you will be able to access all areas. Hearing problems: we have a Loop hearing system. Sight problems: maternity information booklets available in braille, audio and large print. Learning disabilities: midwifery resources available. Autism spectrum: no specific provision. Inform your midwife of interpretation requirements or call the midwife line on 01563 825300. Most maternity information booklets are available in other languages on request. There are no facilities nearby so make sure to bring your own refreshments. Contact Arran Medical Group for the phone number. There is an outside patio area that women can use. Flexible, as you will only stay a short time after your baby is born.